This is a non-exhaustive gameography of my most notable video game projects. I was design lead for Epic Mickey: Power of Illusion, my first big project reunion with my friends I previously worked with on The Red Star so many years ago. In this role, my major responsibilities included managing other designers, composing and tuning every inch of sidescrolling gameplay, and participating in all other aspects of game design. In 2011, I was lead designer on a very special game that we developed to completion and passed all approvals for publication on XBLA. Unfortunately, due to NDA constraints I'm not able to mention anything about it quite yet. Our team poured our hearts and souls into this game and produced something we all felt was meaningful and special. Due to mystifying corporate idiosyncracies it will likely never see the light of day. Watch this space for the moment my non-disclosure agreements expire. I was a designer and consultant for Nicalis' video game for the PC and WiiWare. My main contributions included level design implementation, gameplay tuning for difficulty progression and consulting on readability and accessibilty. On this project, my official title was Senior Designer. My primary responsibilities included level design direction, standards and implementation, UI design, game mechanics tuning, gameplay and progression balancing, and finally coordination across the entire team. I was lead designer for the mobile phone version of Big Brother, based on Season 10 of the TV show. On this project, I was responsible for the entire design and direction, including documentation, UI design, mini-game design, game mechanics and metagame design. 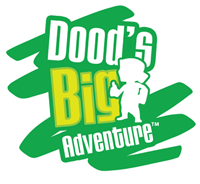 Unlike the other mobile phone Big Brother games, this one actually follows the same rules and structure of the television show, where you play as one of the houseguests and try to survive until the end of the season. 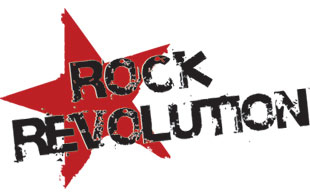 I was lead designer for the mobile phone version of Rock Revolution. On this project, I was responsible for all game mechanics, metagame design and the implementation of all note patterns for every song and instrument. 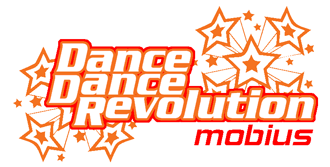 For this mobile phone version of DDR, I implemented all step patterns (36 total) for each song and difficulty level in the game and was involved in all aspects of design. I started working at Rainbow Studios in January 2005. After working on an unreleased title for about a year, I joined the Cars team to design the sequel of this insanely popular game. I was one of the core designers on this project to develop The Red Star game on Xbox and PS2. My contributions focused on the shooting/long-range gameplay, and the design and implementation of non-bipedal enemy behaviors, mid-bosses and bosses. The game was completed in 2004 but only survived as a 2007 PS2 release. This is a level design I created for Unreal Tournament 2003. Although a multiplayer map is also available, The single-player map is the main attraction, featuring shifting lava and an environment that changes topology accordingly.